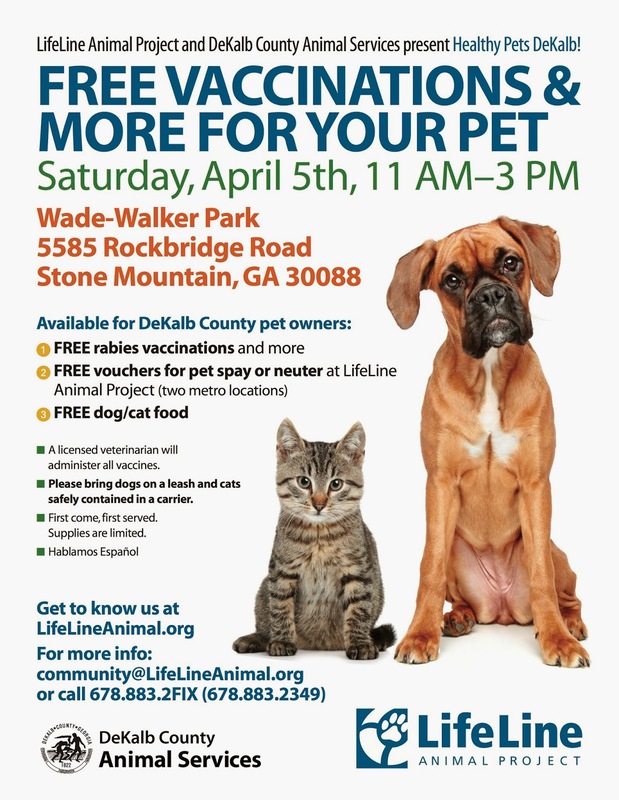 ATLANTA, GA – (March 24, 2014) LifeLine Animal Project and DeKalb County Animal Services invite DeKalb County pet owners to attend "Healthy Pets DeKalb" on Saturday, April 5th, from 11:00 a.m. to 3:00 p.m., at Wade-Walker Park, 5585 Rockbridge Road in Stone Mountain. The event will offer over 400 free vaccinations provided by a licensed veterinarian, free pet food and much more! No registration is necessary for this first-come, first-serve promotion. “LifeLine offers veterinary services and pet education directly to pet owners in our communities who need them,” says Debbie Setzer, community outreach director for LifeLine. “These resources improve the quality of life for pets and their families, prevent unplanned litters and decrease the number of animals ending up in shelters,” she explains. 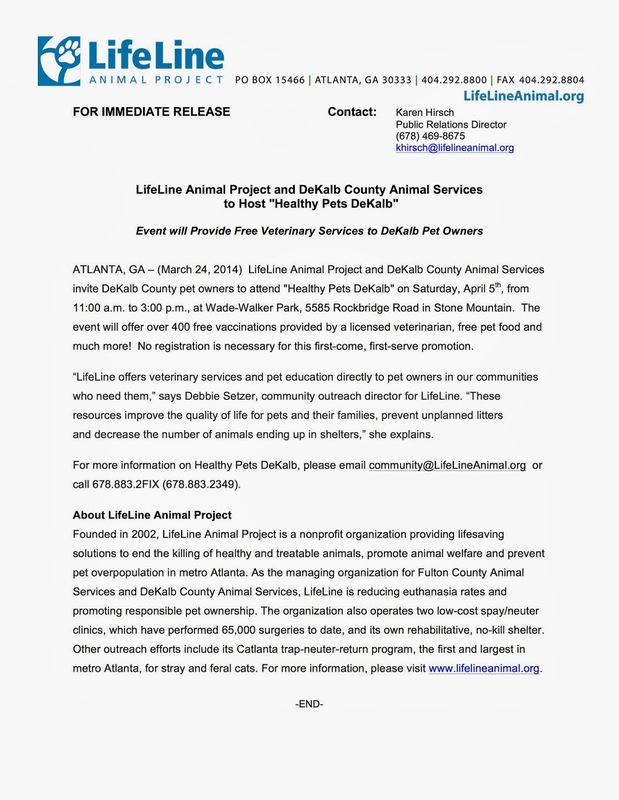 For more information on Healthy Pets DeKalb, please email community@LifeLineAnimal.org or call 678.883.2FIX (678.883.2349).